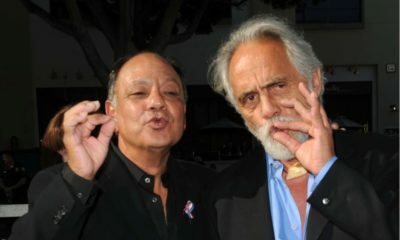 It was a full week in the fight to legalize marijuana in the United States. Some of the most exciting news comes from Maine, where advocates learned that a recreational marijuana initiative has been officially cleared for the November ballot. Other highlights include the advancement of a ballot measure intended to bring down prohibition in Arkansas, as well a last ditch effort by the Vermont Senate to get a marijuana legalization bill in front of Governor Shumlin in 2016. A proposed ban on THC-infused candies that resemble animals, fruit and other items that kids would find attractive has advanced in the House of Representatives. House Bill 1436, which was introduced by Representative Dan Pabon, is the latest attempt by lawmakers to prevent children from accidentally ingesting edible pot products. The proposal has the support of Governor John Hickenlopper, who has urged the state legislature to take action to prevent children from being hospitalized for accidentally ingesting edible pot products. Opposing forces argue that the solution to this problem is not a ban but for parents to simply keep THC-infused candies of out the reach of children. After several failed attempts, a marijuana initiative put forth by Arkansas resident Mary Berry has been cleared to begin collecting signatures. Last Monday, State Attorney General Leslie Rutledge approved the Arkansas Cannabis Amendment, putting organizers in a position to begin gathering the necessary 85,000 signatures in order to earn a spot on the November ballot. If passed, adults 21 and over would be able to purchase marijuana from retail outlets across the state, as well as apply for a license to grow up to 36 plants. Only marijuana sold for recreational purposes would be subject to a 5 percent excise tax. The initiative would also legalize the production of industrial hemp. The Montana Supreme Court said last week that it does not plan to enforce restrictions surrounding the state’s medical marijuana program until the end of August. Earlier this year, the state’s highest court ruled to uphold a law passed in 2011 that limits the number of patients a dispensary can service. However, pot advocates are working to get an initiative on the November ballot that would overturn the Court’s ruling – putting the state’s medical marijuana back in action. Michigan lawmakers are hoping to get to the bottom of stoned driving. Lawmakers recently introduced a bill aimed at researching the effects of marijuana behind the wheel in an effort to establish a threshold for being under the influence. Last Tuesday, the House of Representatives voted 107-to-1 in favor of the proposal, sending it to the Senate for consideration. The goal is to define a legal limit similar to the one the state has for alcohol impairment. As Hawaii official prepare to announce the name of the state’s medical marijuana dispensary owners, lawmakers are considering a bill that would provide some clarity to the program rules, including the issue of taxes and those authorized to recommend medical marijuana to patients. The bill would allow other health professionals other than physicians provide patients with medical marijuana recommendations. It would also allow inter-island transport for laboratory testing, as well as fix a tax loophole for dispensaries. Licenses for the state first set of dispensaries are expected to be announced soon. The Iowa House has rejected a measure that would have resurrected an expansion to the state’s medical marijuana law. Last Wednesday, the chamber voted down the concept of allowing the cultivation and distribution of cannabis across the state. Although Iowa passed a law in 2014 giving specific patients permission to possess cannabis oil without fear of legal repercussion, participants have been forced to smuggle the medicine in from a legal state. Medical marijuana is likely a dead issue for the state legislature until 2017. Maine voters will get to decide on recreational marijuana in November. 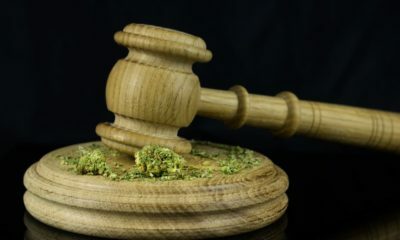 Last Wednesday, Secretary of State Matt Dunlap announced that the initiative supported by the Campaign to Regulate Marijuana Like Alcohol had been approved for the ballot after a discrepancy surrounding verified signatures was finally put to bed by a judge. Both the House of Representatives and the Senate voted last week in approval of a bill that would decriminalize the possession of non-intoxicating cannabis oil for patients with severe seizure disorders. The bill referred to as Leni’s Law does not come with a cultivation and distribution provision, it only gives patients permission to smuggle in the medicine from a legal state. It now goes to the desk of Governor Robert Bentley for a signature. In an effort to strong arm the House into taking action on a bill aimed at legalizing recreational marijuana, the Senate recently attached S.241 to a miscellaneous crime bill that has already been approved by the House. The goal of this maneuver is to give the House another opportunity to address the marijuana legalization issue that has been stalled in committee for the past several weeks. However, House Speaker Shap Smith says he wouldn’t bet on the bill landing on Governor Shumlin’s desk in 2016. In order for that to happen, the state legislature would need to approve legislation by the end of this week. Legislation aimed at allowing more patients to participate in Louisiana’s medical marijuana program is officially dead. Last week, the House Health and Welfare Committee snuffed out a proposal that would have expanded the state’s list of qualified conditions. Lawmakers rejected the measure over concerns that the addition of conditions such as “debilitating pain” would give too many people access to medical marijuana. So far, the state has not serviced a single patient since Governor Bobby Jindal signed the medical marijuana law in 2015.